Img.vision allows users to create a CSS Gallery that can be posted on eBay. However, it can be posted on any site which supports CSS/HTML code editing. 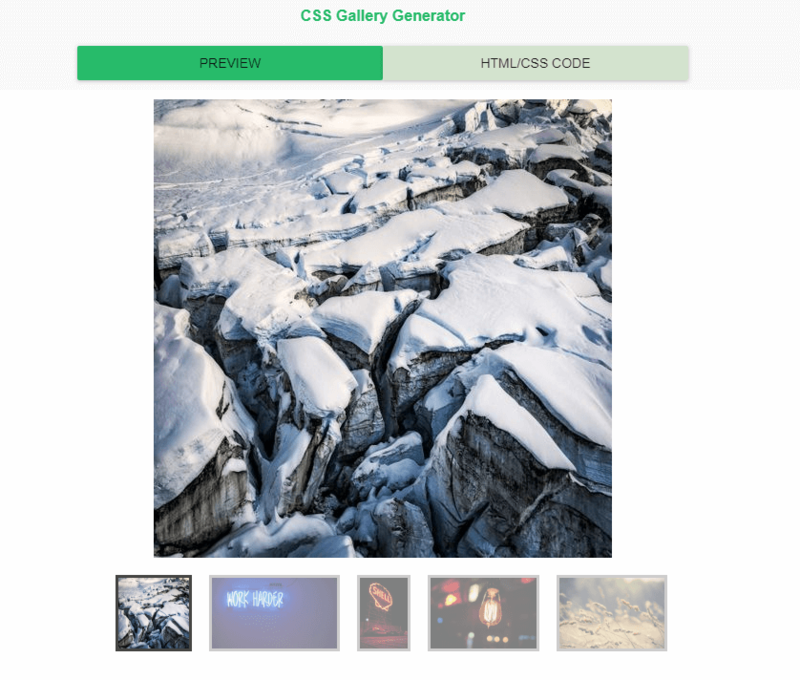 You pick the images to show in the gallery and copy the generated code. The gallery completely embeds inside the website you paste the code, so visitors don't need to navigate to another website (eg. don't need to navigate away from your eBay listing). Copy & Resize your images into smaller dimensions. This is optional, but recommended if your images are real life photos because photos are usually too big to fit on a web page. My experience is that 640x480 works nicely. Make sure you select your newly generated images before continuing. When you've clicked the CSS Gallery button, you'll get live preview of your gallery / album. Click the HTML/CSS Code button to get the code to put inside your eBay listing.